26 Elisha said to him, “Did my heart not go with you, when the man turned from his chariot to meet you? Is it a [proper] time to accept money and clothing and olive orchards and vineyards and sheep and oxen and male and female servants? God doesn’t use a template for our lives. This frustrates me sometimes. I like to have things all figured out. Give me the program, the plan, the template, or the pattern and I will learn it and follow it as if my life depends on it. But I’ve noticed in my journey with God that when I try to react to a situation with yesterday’s strategy, I often run into a wall. I often don’t have the success and breakthrough that I anticipated I would, especially since I used the method that brought great breakthrough the last time! In 2 Kings 5:26, we read the story of when a powerful warrior named Naaman, who had been struck with leprosy, came to Elisha the prophet to be healed. Elisha told him to dip in a nearby river 7 times. On the 7th time, Naaman arose from the water totally healed. He was so grateful to get his life back that he offered Elisha money, clothing and many other things that he had brought with him as a huge “Thank You”. But Elisha declined the gifts and sent Naaman back home with his donkeys still laden down with goods. But Elisha’s servant, Gehazi, was not in agreement with this decision and didn’t want to see that wealth ride off into the Israeli sunset; so Gehazi snuck away and chased Naaman down. After a brief chat about how his master had changed his mind, Gehazi, the servant returned to his tent with some of the booty. Elisha said, “Is it the proper time…?” to which the answer was No. It was not the proper time. Why? Because God’s desire was to show His goodness to Naaman and to show this wealthy man that He is Almighty, the only true God. He can’t be bought with trinkets or gifts. God works in His own way, for His own purposes. What caught my attention was the flip side of that question, “Is it the proper time…?” The flip side of Elisha’s question is as follows: If there is an improper time to do something, then there is a proper time as well. What struck me was the concept of proper and improper times for certain actions. In one season, something may be acceptable and blessed by God. In the next season, that same action or behavior may be in opposition to what God wants to accomplish. That is why it is so important that we make a daily habit of taking time to hear from the Lord and practice training our ears to hear and recognize when He is speaking. Otherwise, we run the risk of listening to His direction in one season and then being in disobedience in the next. Have you ever made this mistake? Have you ever tried to repeat a sequence of behaviors that brought you success in one season of your life only to find that those methods don’t work now? Have you ever spoken when it was time to listen? Or made a move when it was time to be patient and wait? So why do we ignore the fact that with each circumstance we face, God has a proper and effective way to handle it? He has a strategy regarding how to behave and what to say and do. Why do we think we have God all figured out and then run off half-cocked into a situation with no current “rhema”* word from the Lord? Do we really think that God is so small that after a few interactions with him we can have his methods all worked out? 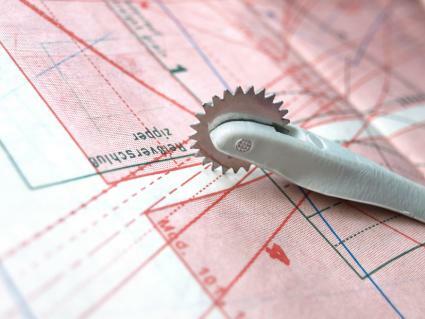 God is not like a seamstress who pulls out patterns and creates the plan for our lives in a ‘one-size-fits-most’ way. When I used to sew, I would get a pattern for my size range. So someone smaller or a little larger than me could fit in the same pattern. But God has a specific pattern for each of us. He has a plan that He formed before we were created in our mother’s womb. And if we will tune our ear to His voice, we will stay on-course and walk in much greater fulfillment. His plan is a perfect fit – even when it seems to be squeezing us a little! We are blessed beyond measure to be able to be in relationship with the God who created everything that is seen and unseen. We can call Jehovah, the Lord and Master of everything, our heavenly Father. But no matter how close to Him we come, we will NEVER have Him figured out. If Jesus Himself had to spend regular, daily time in prayer to hear the Father’s voice, how much more do we? I think the greatest evidence of God’s covering and mercy is that our lives are as blessed as they are in relation to the amount of time we spend tuning our ear to His voice! But how much more power could we be walking in if we listened daily – or even hourly – to find out what is “proper” in this season that we’re in? Do you tend to want to stay in the familiar waters of your walk with the Lord rather than allow Him to take you our into new frontiers? Has the Lord been challenging you lately to trust Him in new ways that are unfamiliar or scary? Has He been asking you to step out into uncharted waters? Have you experienced the backfire of moving out without God’s leading, or speaking when it was time to be quiet, of being silent when it was time to speak up, or of being inactive when it was time to make a move? Lord, You speak a fresh word to me every day. Help me not to take old words and direction and make a template out of it. In each season and challenge, You have new things to say, new strategy to impart, fresh revelation of Your character, and more alignment for my character. Help me to always tune my ear to You. *Rhema (ῥῆμα in Greek) literally means an “utterance” or “thing said” in Greek. It is a word that signifies the action of utterance. ← How to handle the praise of man – and the criticism, too!